Hey, I have a question for you. I know everyone is always asking if you can substitute A, B, or C, for flour, but can you go the other way? Could I use equal amounts of flour for the almond meal here? Oh my!!! Going to definitely whip these up today. Yum!! 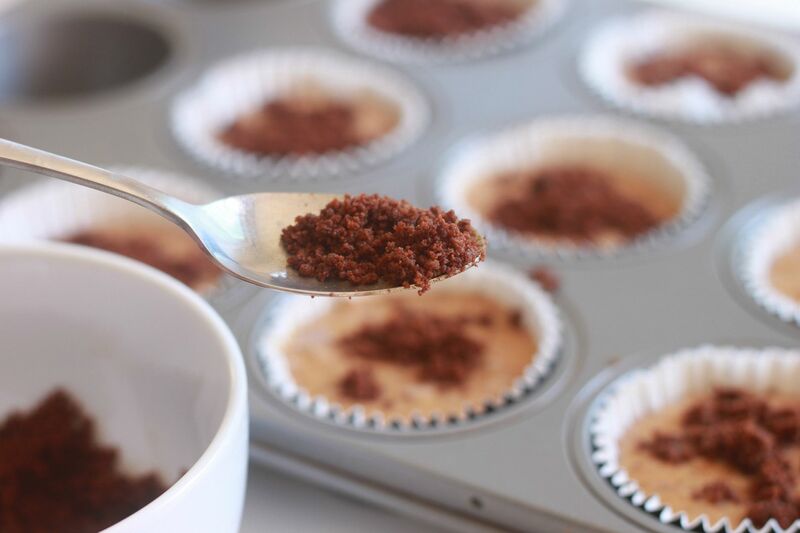 Do you think coconut oil would work instead of butter in the topping ingredients? Mostly teaching- coconut oil would not give it the same yummy buttery taste but it would still work. Is there a substitute for the coconut sugar...I have all the other ingredients listed except for that. Anonymous- You really do need the coconut sugar for this particular recipe. BUT you can always experiment with something else like honey just know you might not get the same results. I am going to have to make this tonight! The boyfriend will love this! 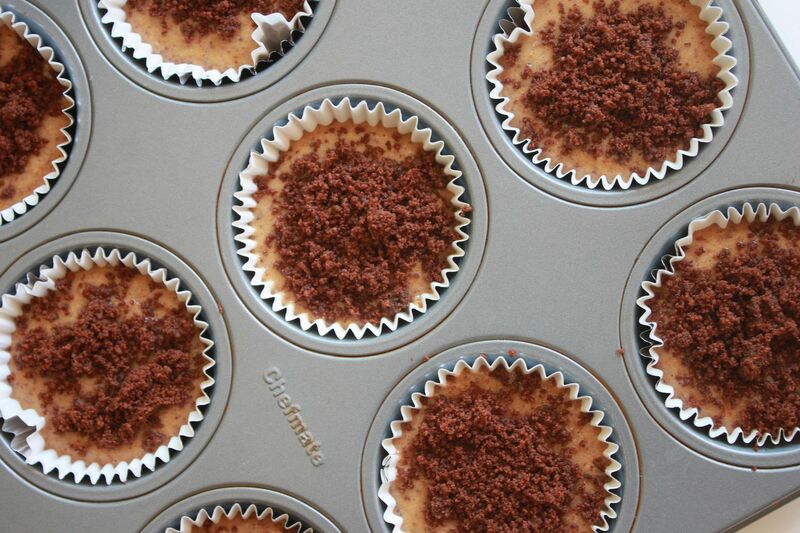 Thanks for sharing this tasty treat! These look great! could honey or maple syrup be subsituted for coconut sugar? I'm allergice to coconut. OMG! I MUST buy some coconut sugar...stat! These look wonderful and I'll be making them as soon as I can beg, borrow, or steal some coconut sugar. So far I've made the almond butter cookies--I used chopped up dried unsweetened apples in place of the chocolate chips b/c I didn't have any on hand. Made the spaghetti squash pizza crust and it was so delicious I ate the leftover piece with nothing on it. 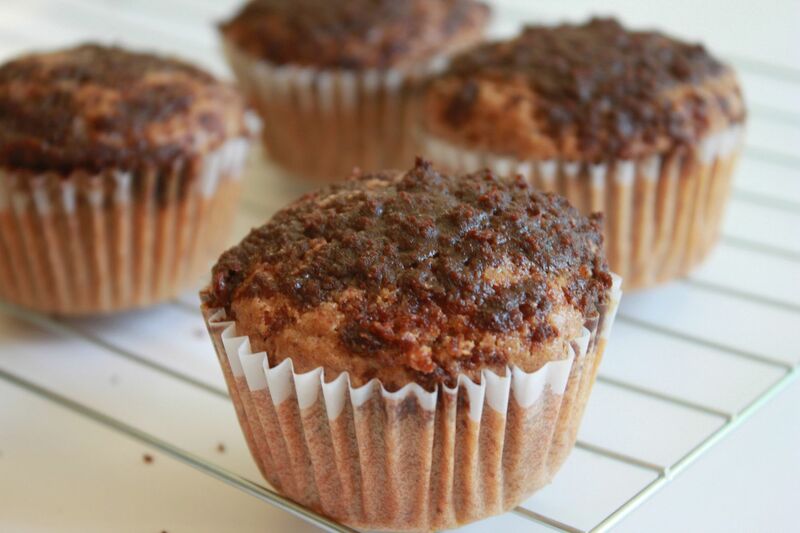 The apple cinnamon muffins, which my 2 year old in particular really loved. I'm so making these. I don't eat Paleo all the time and I occasionally will eat grains, but I'm SO happy to have found this blog and a few others that have easy-to-make Paleo recipes. It's been nice getting my family to eat this way at least some of the time! You always have the greatest paleo recipes. My sister is a paleo chef, and we are constantly loving all the ideas you give us for meals. Thank you! We loved the salted chocolate chip ones. Snickerdoodle is my absolute favorite cookie, so I can't wait to try these out! 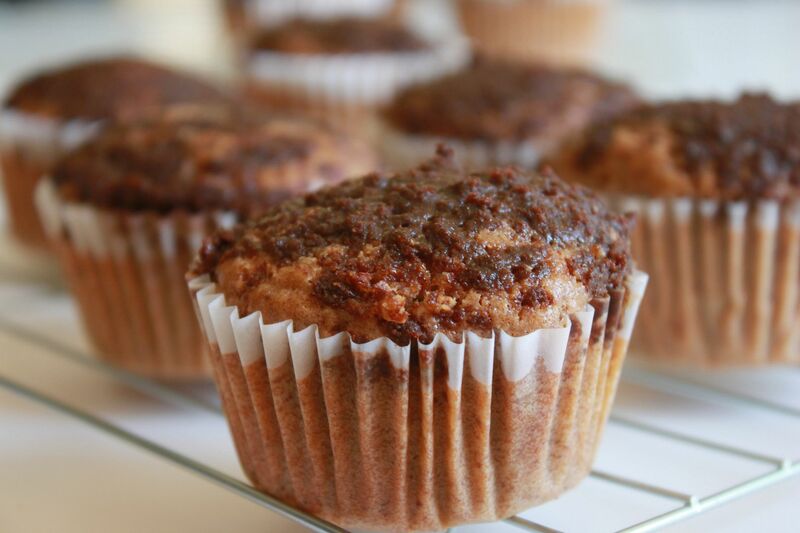 I haven't made these yet but my daughter (age 8, Type 1 since age 6) LOVES your flourless apple cinnamon muffin recipe. My entire family does! Cannot wait to try these, too! Love Snickerdoodles. They always remind me of fall...especially these ones in muffin form! They are in the oven, I will let you know what I think! I can hardly wait for them to get out of the oven! Oh my goodness, just ate one, they are scrumptious!!! :o Omg. These look amazing. My kids and I made these today. They are so delicious! If my calculations are correct I think they're only about 8 net carbs per muffin, too! We loved them. Even my fairly picky husband liked them. Thanks for the recipe! Can swerve be substituted for the coconut sugar? I am trying to modify all my recipes to low carb... love your blog & good luck with the move! This snakcs will be perfect for family and friends gathering. Thank you for sharing this recipe..
Do you think Truvia or regular white sugar/ brown sugar work in place of coconut sugar? I have everything else and they look delish! Tricia- sorry I am not sure. I have never used Swerve before. On some of your muffin recipes I noticed there was no carb count. How do I obtain that for the above recipe? I can't wait to try your cinnamon-applesauce muffins. Thanks. Just finished making these. Quick and easy to prepare. My taste buds were very happy devouring the first muffin. Substituted 1/3 tsp Trader Joe's organic stevia for coconut sugar. Excellent. Both my husband and I wanted a second one, but since we were eating them just before dinner, we decided we had to wait. Made according to recipe, using same ingredients. Calorie Count website shows 15.1 gr carbs, 2.9 gr fiber for each serving, total 12 servings. Will be making these again soon as we both love snickerdoodles and they are no longer on the diabetes diet. Thank you for the great recipe. What sort of vanilla did you use? Extract or essence? I've made a bunch of your recipes and have been following your blog for a couple years now. It's refreshing, fun, and feels very familiar to me. 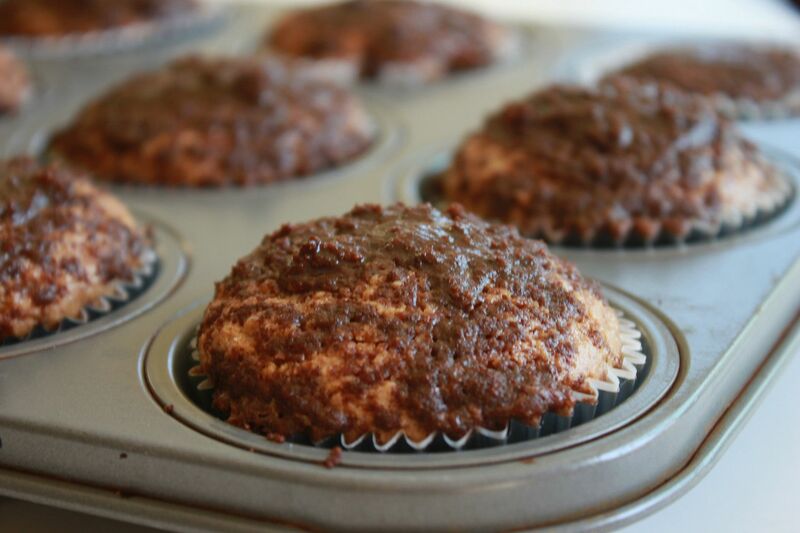 Thank you much for continuing to write and share your paleo recipes!